Science and Technology Minister Harsh Vardhan said the legislation was initiated by the then NDA government headed by Atal Behari Vajpayee and since then has undergone scrutiny at all levels. HYDERABAD: The Centre will confidently answer every concern raised on the DNA Technology (Use and Application) Regulation Bill, 2018, as it has got it scrutinised through every possible quarter, Union Minister Harsh Vardhan said here today. The DNA Technology (Use and Application) Regulation Bill, 2018 was introduced in the Lok Sabha on August 9. 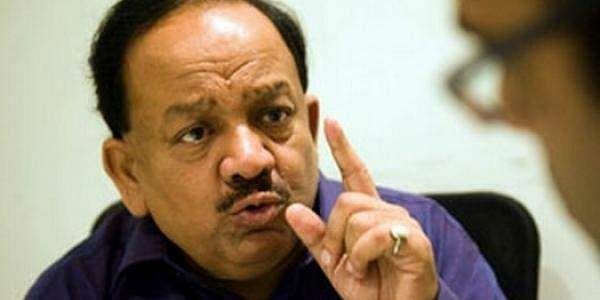 Science and Technology Minister Harsh Vardhan, who introduced the Bill, said the legislation was initiated by the then NDA government headed by Atal Behari Vajpayee and since then has undergone scrutiny at all levels. "When it comes up for discussion, we are confident that we can answer every query, concern, apprehension somebody may have about the Bill. It's a positive Bill," he told reporters after inaugurating the new campus of Centre for DNA Fingerprinting and Diagnostics (CDFD) at Uppal area here. He said the Bill is aimed at strengthening the research ecosystem and strengthening regulation of such facilities It was for strengthening the cause of forensic activity, strengthening the work investigating agencies do and would ultimately play a good role in future, he said. "After a long journey we have been able to introduce the DNA Technology Bill in theLok Sabha," he said adding a Committee headed by the Union Home Minister, Law Minister and himself had a re-look at it, besides experts. Ultimately, it was scrutinised through every possible quarter. Being a sensitive Bill, every issue in it was addressed, like on privacy, its relevance and some other issues. "Now after the greatest possible scrutiny from everyone we got the Bill approved and got it through Cabinet also and introduced in the Lok Sabha," he said. I hope that in the next one or two sessions of Parliament we should be able to take it (the Bill passed) forward," he said.